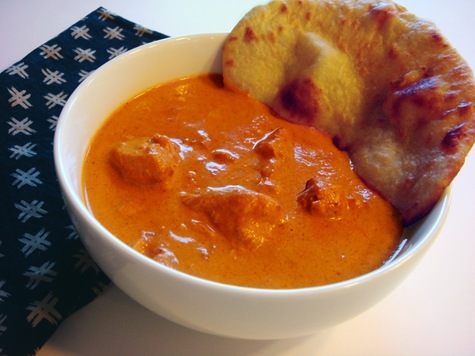 Indian Naan is a perfect accompaniment to curries, or marinated grilled meats. It can be made pretty quickly if you use instant yeast, which does not require proofing or an initial rise of the dough. And there is no second rise with a flat bread like naan. 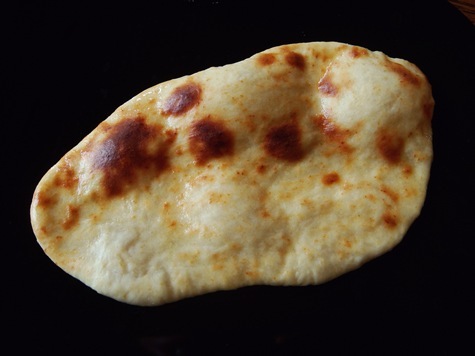 Naan can be cooked either in the oven on a baking stone or baking sheet, or cooked on the stove in a hot pan, like a cast iron skillet. I prefer to use a baking stone, as the oven temperature needs to be very high, which can make a baking sheet warp. Naan is traditionally cooked on the sides of a tandoor oven, but you can have good results at home in a very hot oven. 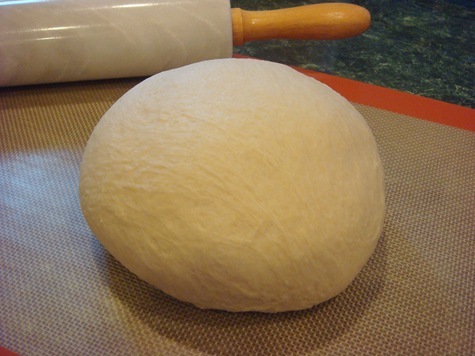 The dough is a simple yeast bread mixture with yogurt added to help give it elasticity. You can also add some fresh minced garlic for a garlic naan. Roll out individual pieces into an oblong shape. I love that naan does not require perfect circles! Little J likes to roll them out for me, and then keep them moist under a kitchen towel. I usually reroll them a little bit thinner just before I put them into the oven. If you are using a baking stone, place it in a cold oven and let the oven preheat to 500°F for 15-20 minutes. Throw carefully place your rolled naan pieces onto the hot baking stone. My baking stone will hold 4 small pieces of naan at a time. Switch the oven to “Broil” and cook for 2-3 minutes. On the first side, they should start to bubble in places. Flip and cook the other side for about 2 minutes. 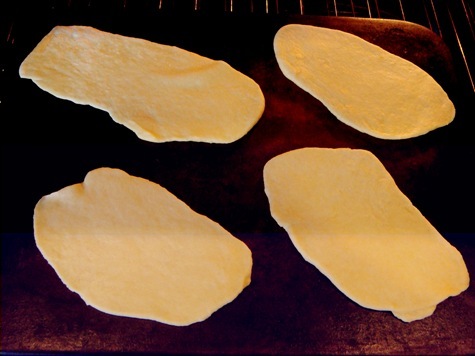 Brush naan with melted butter as they come out of the oven. Serve hot with Butter Chicken, or other curries or grilled meats. Also good for dipping in hummus or Tzatziki. Scald milk (bring to a boil, then remove from heat and cool to about 110°F). OR: Use very warm water instead of milk and add ½ cup powdered milk to the dry ingredients. Combine warm milk or water with yogurt, olive oil, honey and egg. Mix in flour, salt and yeast (and powdered milk, if using). Knead into a smooth ball, adding more flour if necessary. Knead in garlic, if desired. Cover and let dough rest 10 minutes. While dough is resting: If you have a baking stone**, place it in a cold oven on an upper-middle rack (not the top rack position). Preheat oven to 500°F for 15-20 minutes. 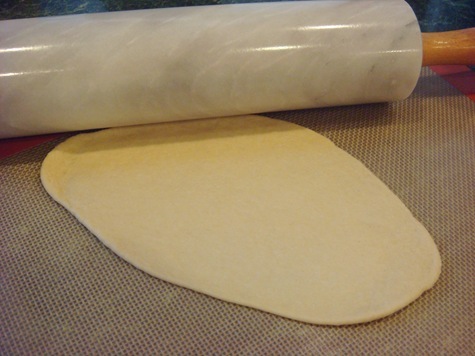 Roll small pieces of dough into an oblong or long teardrop shape. Place 2-4 pieces of dough on the hot baking stone. Switch oven to Broil. 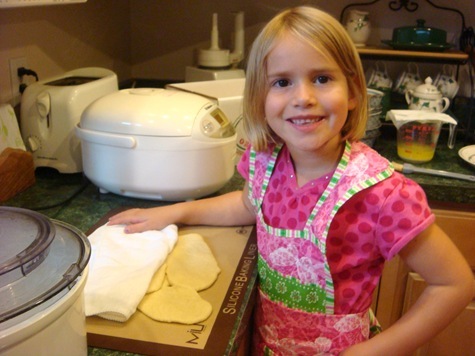 Broil naan for 2-3 minutes, or until dough just begins to bubble or puff; turn naan over and broil an additional 2 minutes. Brush cooked naan with melted butter. Cover with a kitchen towel while cooking additional bread. Serve warm. **NO BAKING STONE: Cook on a baking sheet, but DO NOT leave baking sheet in preheating oven. OR: Brush uncooked naan with melted butter and cook in a hot cast iron or non-stick skillet. Cook 1-2 minutes. Brush other side with butter and turn. Cook until blistered and cooked through. Naan can also be cooked directly on an outdoor grill (oil grates first). Gasp! Really excited about this recipe. I was planning on cooking an Indian dish for dinner this week, and this naan is a must-have along with it.